Stunning modern ONE bedroom apartment located in the popular Waterfront development minutes walk from the city centre, the BBC and the Quay entertainment complex. The property is well presented throughout and comprises entrance hall with useful storage cupboard, a bright and spacious living room with Parisian balcony overlooking lovely communal grounds, a modern kitchen with appliances, bathroom with white three piece suite and bedroom with fitted wardrobes. 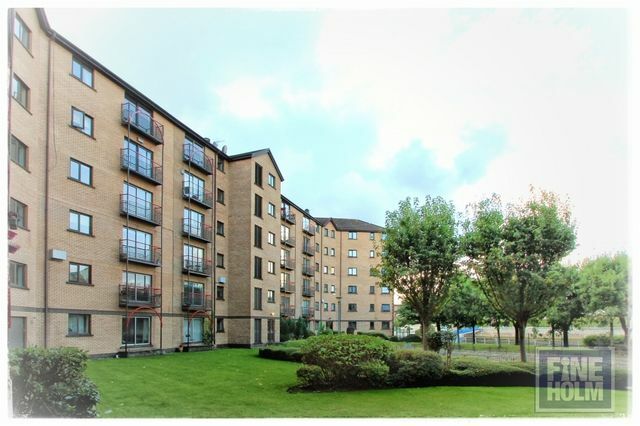 This modern city centre flat is close to all amenities; restaurants and cinemas (2 min walk), train station (5 mins) and walking distance to all city centre offices, with the M8 and M77 within 2 mins drive. Ideal for a young professional couple or single person looking to be close to the city.